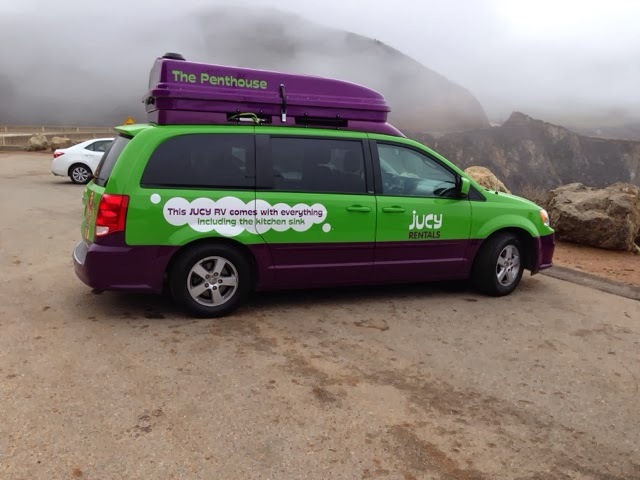 Part 1 - Is traveling from Big Sur to Pebble Beach. 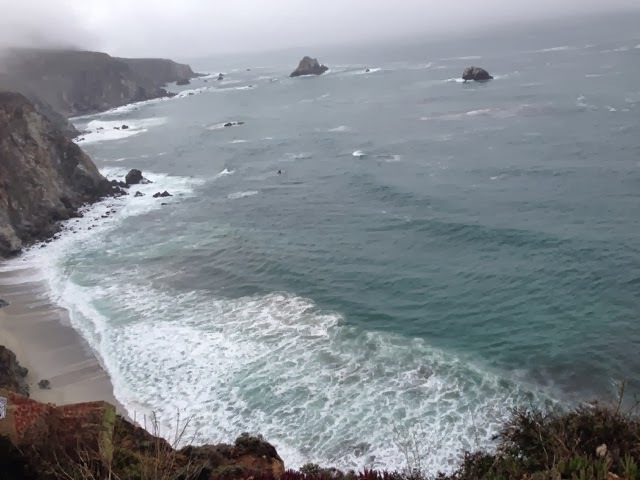 & Part 2 - Is Monterey & Hike. 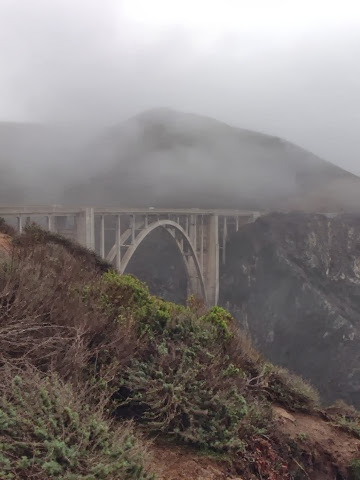 The Big Sur is about 30 miles south of Monterey, my destination for tonight. I was up early as usual and used the token I got yesterday and too my shower. Then I was off to the dump station to dump the gray water and top off water as I plan to stay at a county park that also doesn't have services at the site like last night. I stopped at a dirt turnout on the coast highway and took out the generator and ran it for 15 minutes to top off the camper battery as I may not be plugging in over the next few days. 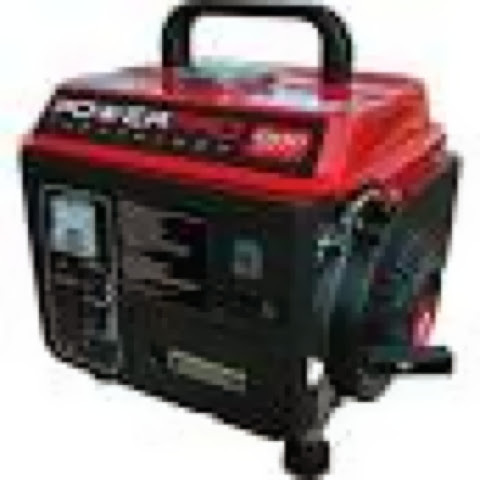 I chose to use the generator on the side of the road so not to make noise in the quiet campground. This generator fits in my side compartment with the handle removed. It's two-cycle so I have premixed 50:1 with stablizer in cans to use aneeded. I should have waited an hour before leaving to have the fog lift. I still get some good pictures. I saw this car that someone rented to camp in. 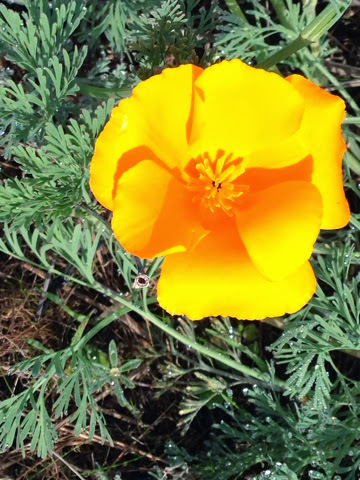 A bit of beauty at one of my stops. After deciding and checking in to Veteran's Park Monterey for my camping spot I was off to check out Pebbles Beach Gulf Course. I programmed it into the GPS and headed out. I turned the corner and I am at a tool booth. 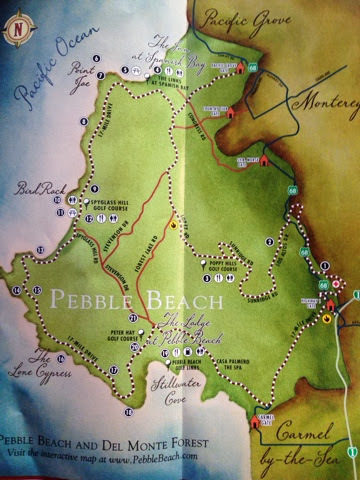 To enter Pebbles Beach you need to pay $10.00 and they give you a map for the privlsge to tour the many golf courses an stately homes. 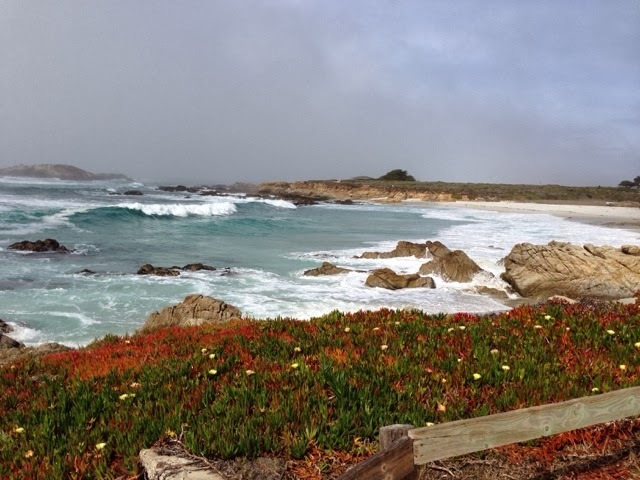 They have what is called the 17 Mile Road that circumvents the Pebble Beach area. Dotted line on the map. The problem is that I am trying to drive, look, take pictures, and navigate all at once on very narrow roads and no place early on to turn off to "reconorder". This is really when I needed a a copilot. Here is a picture of the coast at Penble Besch. 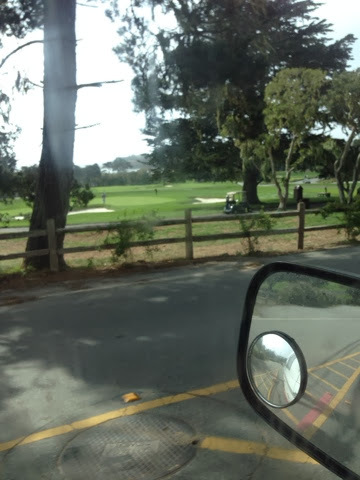 I know John would be looking for some picture of the Pebble Beach Golf Course so here it is John. No place to pull over! Since I didn't expect this map and route I drove to the Penble Beach Golf Course first. This turned out to be clockwise to the way the map is layed out. If you ever come go counter clockwise and that way you end up with the turnouts on your size of the road for ease of stopping. End if this day Part 1.